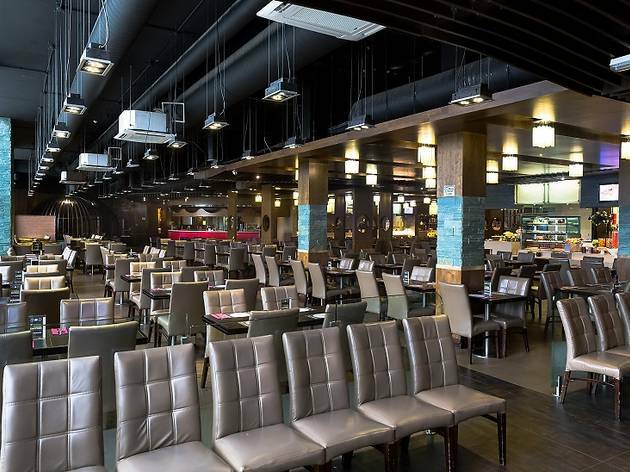 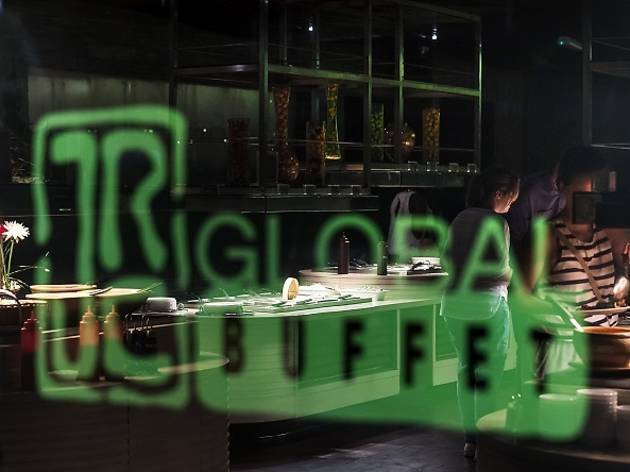 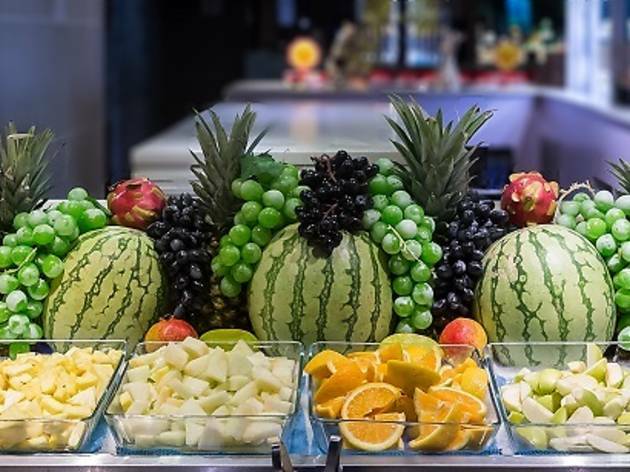 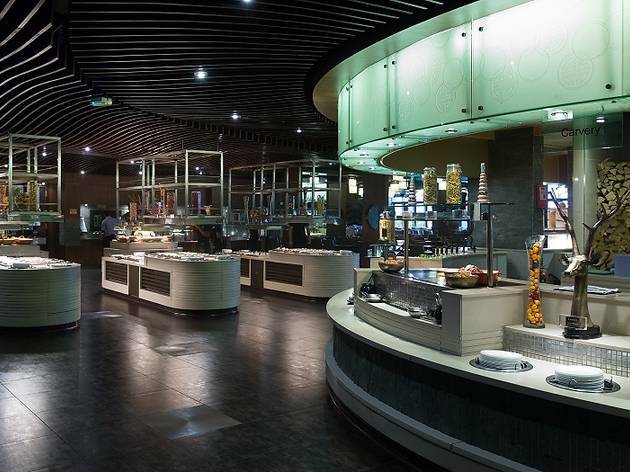 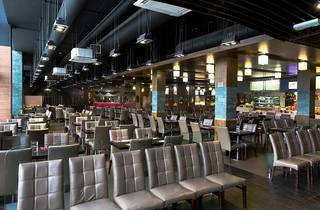 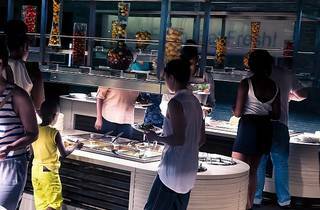 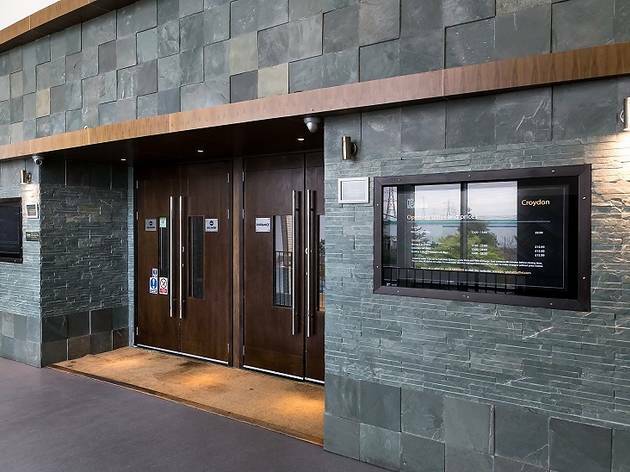 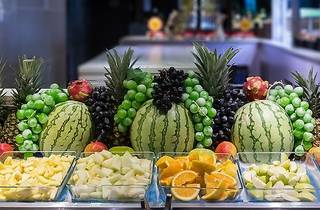 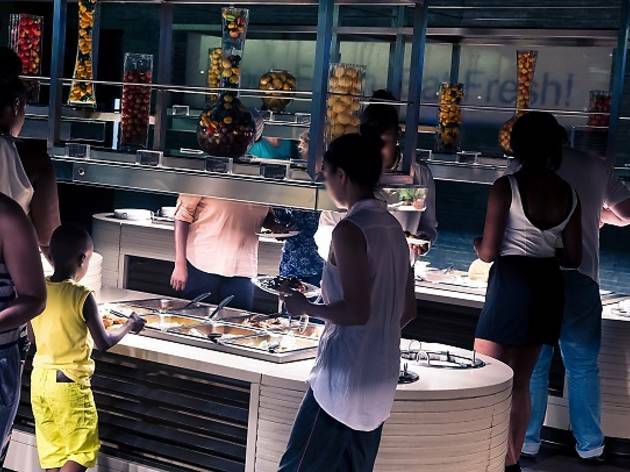 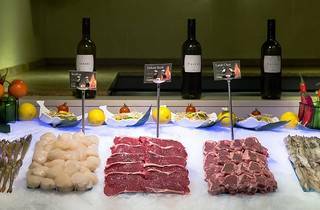 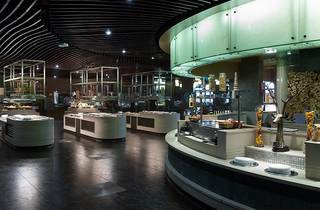 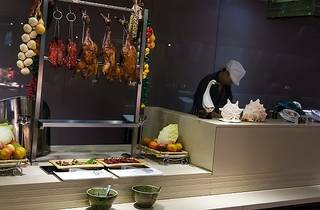 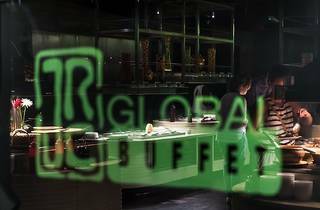 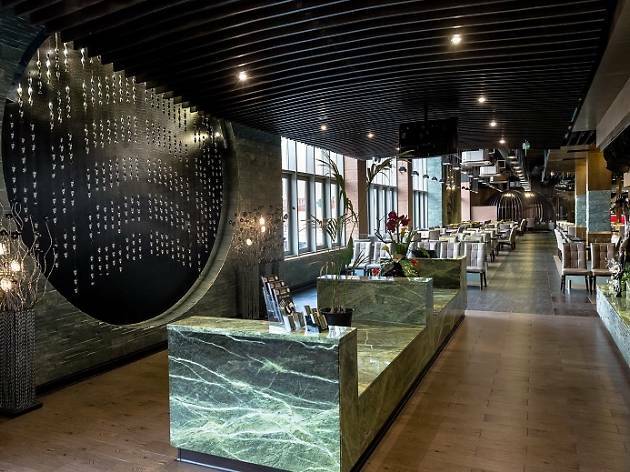 There's certainly a lot of choice at this huge buffet restaurant in Croydon - there are more than 300 different dishes on offer, covering global cuisines from India and Italy to Brazil, Britain, Malaysia and Mexico. 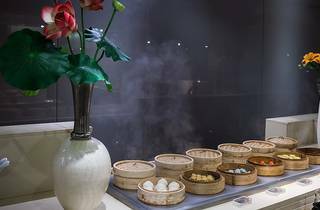 There's China, France, the USA, Japan, Spain and Thailand too, should you need them. 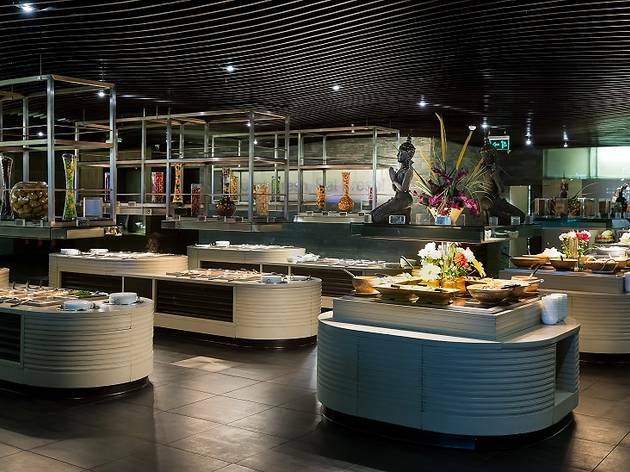 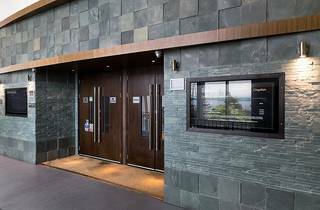 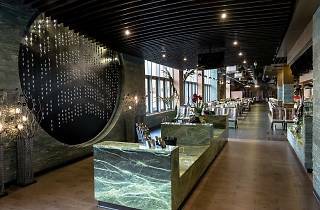 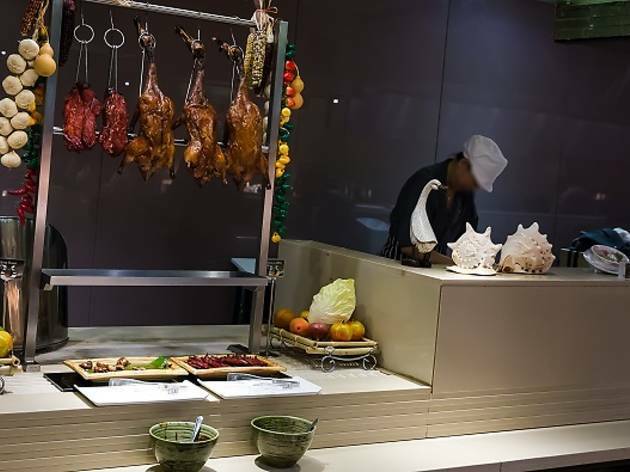 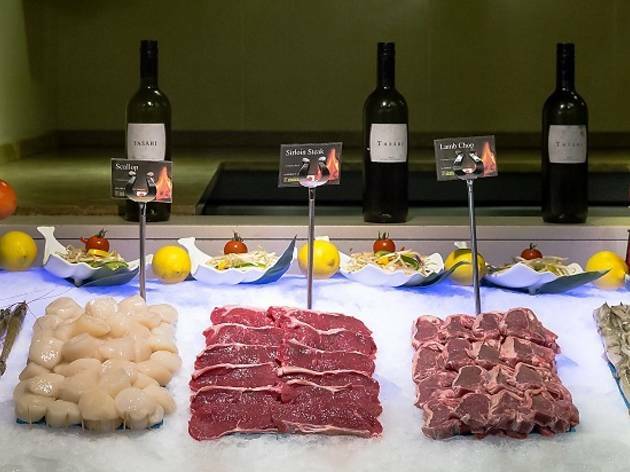 There are ten live cooking stations here, so diners can watch the chefs at work as they steam dim sum, chop sushi, bake naans and grill butter scallops on the teppanyaki - a hot plate used widely in Japan. 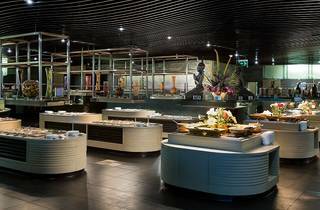 Elsewhere, visitors can tuck into pizzas, pasta, burgers, BBQ baby-back ribs, Malay chicken curries, seafood paella and crispy Hong Kong noodles, amongst other global staples.